Modoru is a plugin that allows the PS Vita to downgrade to the lowest factory firmware version. This guide will show users how to downgrade their Vita to 3.60 or 3.65 official firmware so that Enso can be installed. It is recommended to downgrade to firmware 3.60. However, PS Vita that are fairly brand new will not be able to downgrade below 3.67. If that is the case, then install Hencore (step by step guide here). Step 1: Download all Files. Download Modoru and the firmware of your choosing. For firmware 3.60, rename the file to PSP2UPDAT. Step 2: Use VitaShell to Transfer Files. 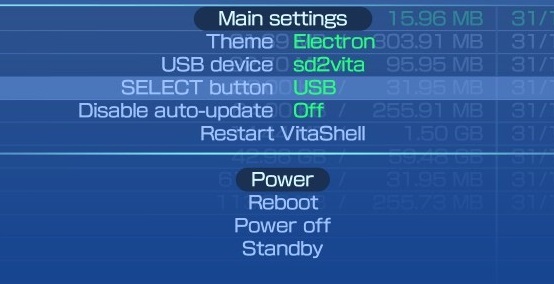 Back on your Vita, launch Vitashell, press Start and change “SELECT button” to USB. Press O to cancel main settings and then press select to connect your Vita to your PC. Transfer the files into any folder that just popped up (I created a folder called VPK). Step 3:Use VitaShell to Install Files. Once the files are done transferring, press X on the modoru.vpk file to install it. Press X twice to confirm Yes for both pop ups. Highlight PSP2UPDAT.PUP and press Triangle and then Copy. Press O to go back and then to ux0:app/MODORU000. While in ux0:app/MODORU000, highlight the .. then press Triangle and then Paste. Step 5: Rename Tai Folder. You have to disable all your plugins in order to use Modoru. Your Tai folder is either in ur0 or urX. Step 6: Unlink Memory Card. Go out to the Home screen/Settings/Henkaku Settings. Click on the UnLink Memory Card. Click on the Reboot Device. Once on, the Vita should update the database and then return to the home screen. Go to H-Encore and then Install HENkaku. Step 8: Enable Unsafe Homebrew. Scroll down to the Modoru icon and press X to launch it. Press X to confirm and wait 20 seconds. Press X to accept the terms and begin the installation. If you are getting this message, go back to VitaShell and delete both Tai folders in ur0 and urX. Go to Henkaku Settings and then UnLink Memory Card. Reboot the Vita and try again from step 7. Modoru should then close out and a green System Update screen will appear. Wait for the update to finish and go to settings and system information to see your new firmware. Now you can install HENkaku ENSO for 3.60 by following my guide here.